When choosing a grid-connected solar system for your home, what size should it be? The Alternative Technology Association (ATA) has traditionally advised people to consider this carefully based on their household’s electricity consumption. Now, however, the ATA recommends a big solar system, even if consumption is low. In its new Solar Sizing: Bigger is Better report the ATA says large residential solar systems, per panel, are now cheaper than small ones. Since 2012 large systems (5 kilowatts or more) have fallen in price significantly more than smaller systems, while feed-in tariffs are starting to increase due to rises in the wholesale electricity price. “After modelling a wide range of scenarios, we found very few cases in which a 2-kilowatt solar system of six to eight modern panels achieves economic payback quicker than a 5-kilowatt one,” said Andrew Reddaway, the report’s lead author. Large solar systems are also better for the environment because they directly displace more electricity generation by centralised fossil-fuel power stations. 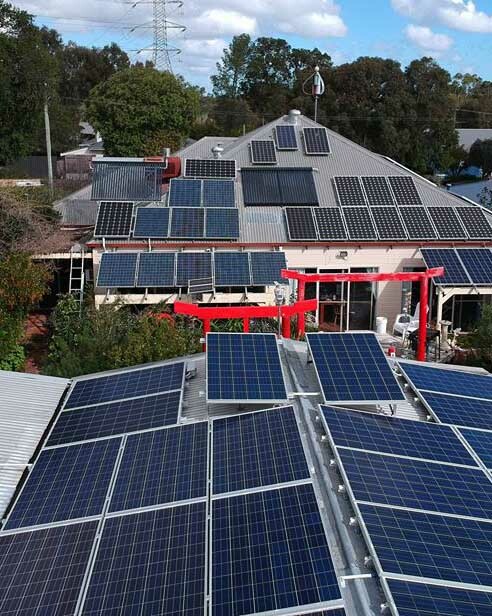 The ATA recommends households aim to install a large solar system, subject to budget, suitable roof space and approvals. Energy efficiency improvements to a home should not be ignored, as they can pay off economically quicker than solar. The Alternative Technology Association (now Renew) is Australia’s leading not-for-profit organisation promoting sustainable living. ATA supports a move to an electricity grid powered by 100% renewable energy.